Designing or decorating our homes needs to fun, otherwise what is the point? Deciding which fabrics to use for our sofas, picking out colours for the curtains, and contemplating different areas to place that credenza – doesn’t it remind you of playing house when you were younger? But in addition to the fact that decorating a house costs money and playing house doesn’t, there is one other major difference between the two: the fact that you can make a design blunder and have those stylish interior spaces of yours fall flat (figuratively speaking, of course). So, to avoid possible embarrassment at your next dinner soirée, let’s see what errors to avoid when it comes to dining-room designing. Full points to you for figuring out that the dining room requires a table and chairs. But it’s a bit trickier than pointing at the first table that happens to be in the right colour. 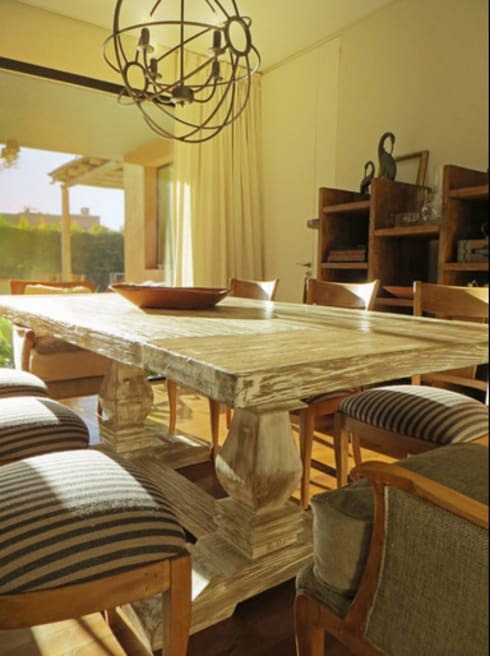 Consider how that table and chairs and/or bench will fit into the dining room. Will it make the space look cluttered, or too big? Measure, measure, and then measure again! Remember that, in addition to sitting and dining, your guests would also very much like to move around, and get up and walk at some point. And no one wants to be shoved into their plate of food while someone is pushing past them just because the host picked out the wrong size table and chairs. 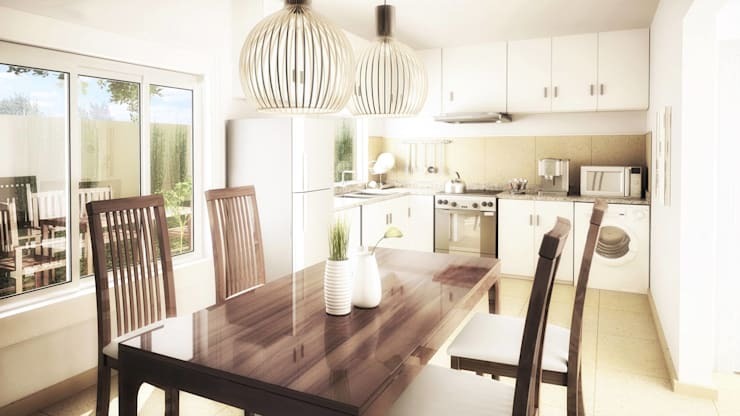 homify hint: Faced with a small dining room? 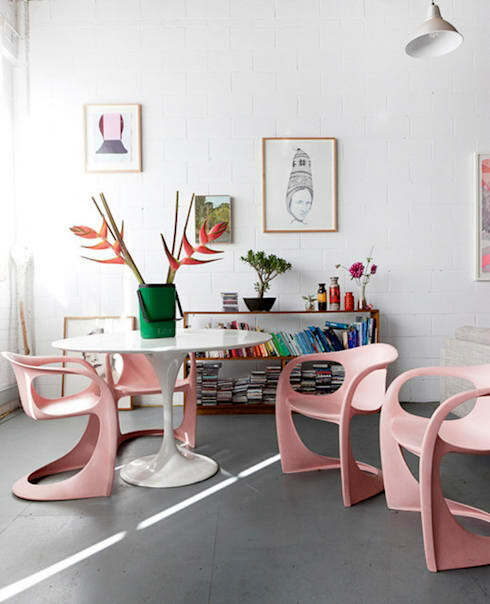 Go with a round/oval-shaped table, as this helps to free up more space. A multitude of homes today flaunt open-plan layouts. And although there is nothing wrong with that, it could lead to some difficulty in separating one room from another, such as the dining room and the living room, for example. Rely on furniture- and décor pieces, as well as colours and textures, to announce to your guests where the living room stops and your stylish dining space begins. Your poor guests don’t want to guess what they’re eating, nor whom they’re seated next to. Thus, ensure that your dining space is sufficiently lit. Although windows with lots of natural light will solve this problem during the day, your evening dinner parties will require artificial lighting sources. Invest in proper lighting and always rely on more than one lighting source, such as a main overhead ceiling light paired with some floor lamps and/or a few wall sconces. Your guests may not return for follow-up parties if those dining-room chairs are causing them back pains. Rely on soft and padded chairs that are not too high or low. The recommended height for a dining chair seat is about 45 – 48 cm. We are still dealing with the seating element, but it is important. 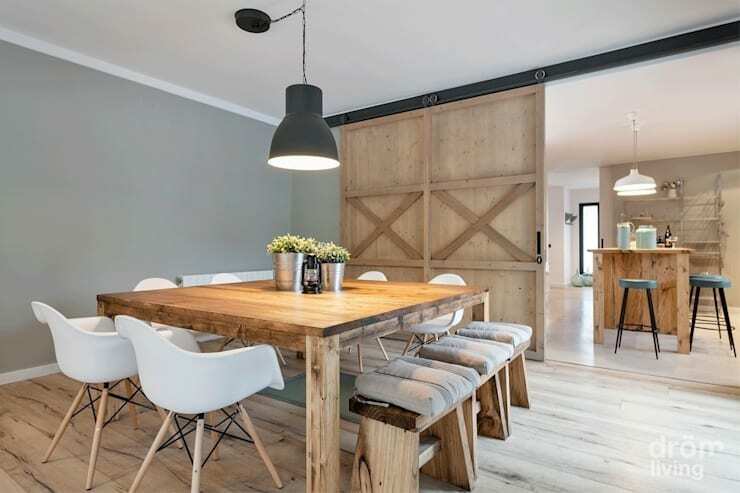 In addition to a proper height, those dining chairs must also be a relaxing width to allow your guests to not only sit comfortably, but also stand up without effort. 55 cm is a good size for armless dining chairs, but if your dining table is quite large, you may increase this size. Opt for chairs that are 50 – 60 cm deep, and do not consider ones that are narrower than 43 cm; they won’t do your or your guests’ backsides any favours. An eclectic-style room is one thing; but a space that seems like a mismatch between colours, patterns and other pieces is just wrong. And your guests are bound to notice if that dining room of yours doesn’t flow style-wise. 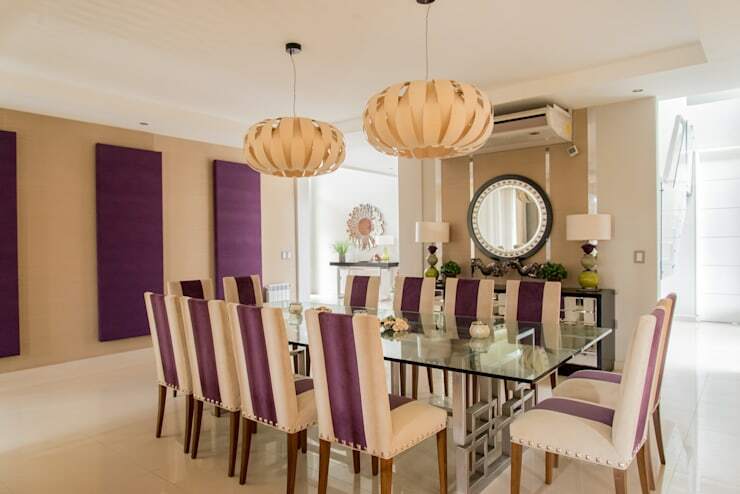 For your inspiration, take a look at homify’s vast range of dining rooms available in an assortment of styles (such as modern, minimalist, country, etc.). 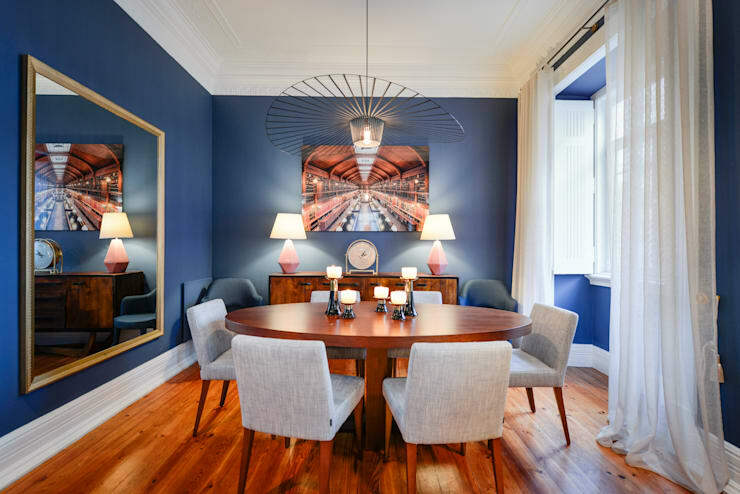 Just like your bedroom and bathroom (or any other space in your home), the dining room needs to show off some of your own personal tastes and styles. Although sites like homify and Pinterest are stocked with interior suggestions, it does not mean that you need to copy those layouts verbatim. Bring in a piece that is uniquely yours, even if it’s something small like a table lamp or a rug. What if we leave those dining-room layouts up to the stars? Let’s see: The perfect dining room according to your zodiac.